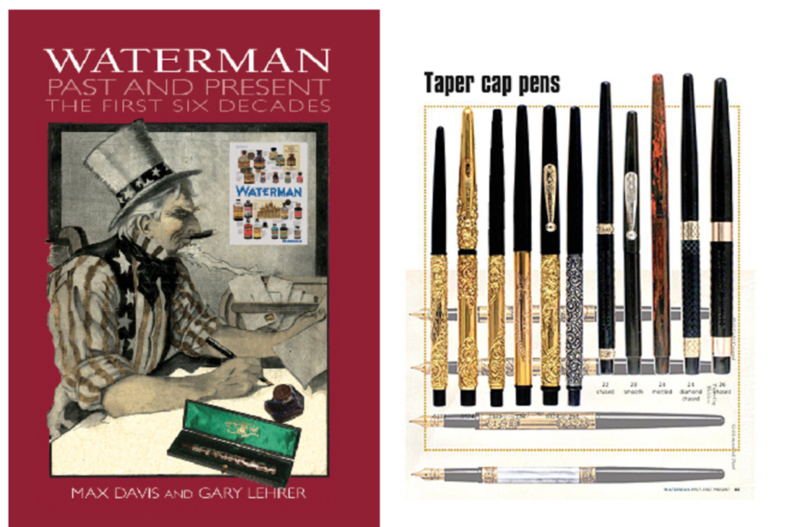 Waterman Past and Present – The First Six Generations by Gary Lehrer and Max Davis. Note: Only 26 copies left, then we’re sold out! Regular Hard Cover Edition, Coffee Table Size: 11″ x 8.25″. 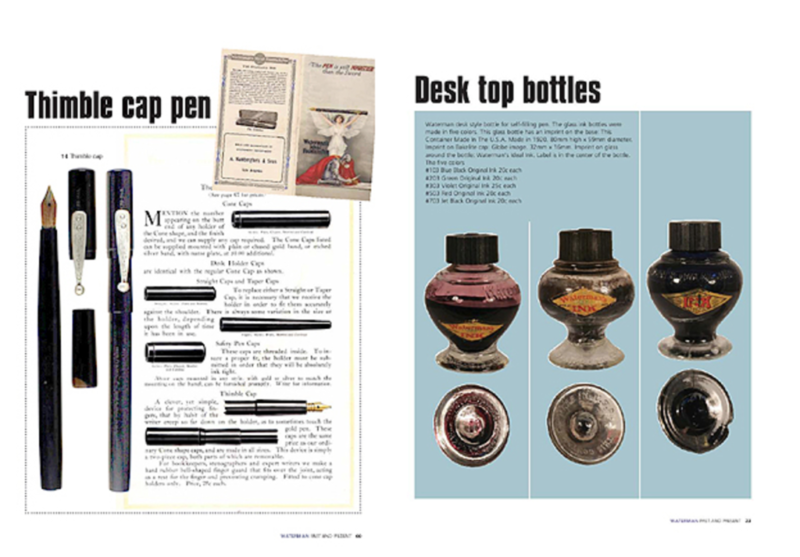 A comprehensive look at the first 60 years of Waterman Pen Company pens, advertising, and ephemera. With thousands of superb color reproductions, this is the definitive picture book for fountain pen collectors, ink bottle enthusiasts, ephemera lovers, and those interested in the history of writing instruments. A huge number of the items pictured have never before been photographed and published for collectors and historians. Established in 1883, Waterman is one of the few fountain pen manufacturers that still exists today. Item #268 in Catalog #82.